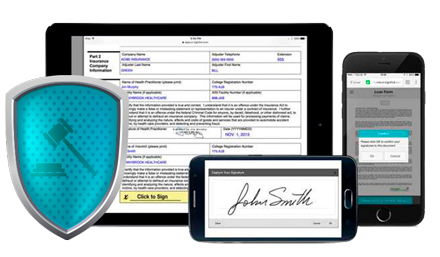 OneSpan offers the strongest legal protection for electronic records, signatures and transactions. It provides the most comprehensive, secure, accessible and reliable evidence for business. OneSpan has helped a leading auto insurance company avoid more than a million disputes with clients that might otherwise have ended up in court. Document security is ironclad with OneSpan. 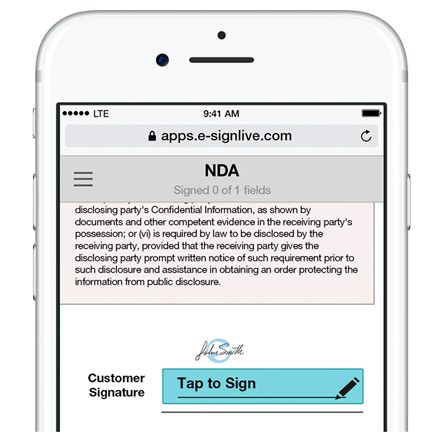 Any modifications made to an electronically signed document, however small, will invalidate the signatures. Electronic signatures are applied at each signature location creating a reliable audit trail of who signed, in what order, at what time, and in what locations. 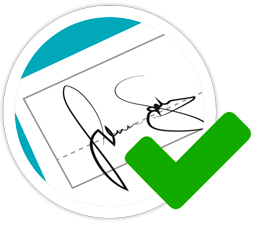 One-click signature and document verification ensures that errors, fake signatures and altered documents are easily detected. OneSpan’s electronic signatures AND audit trail are embedded in the document and travel everywhere seamlessly, together with the record. Audit trail and signatures are securely embedded in the document – no need to manage documents, signatures and evidence separately. It lets you check the electronically-signed document and access the audit trail, without having to go to a specific website. It can store digitally-signed documents in the company designated system, in accordance with the retention policies of the organization, or in the OneSpan servers. What's in the Active Audit? When legal disputes arise involving electronic transactions, the best possible evidence is key and that includes being able to prove that the process used to capture a signature was fair, and compliant with standards. OneSpan records the entire document review and signing process from start to finish, including the active audit trail, which represents a unique capability in the marketplace. Staying out of court – avoid the legal expense and effort involved when disputes go to court. Reducing the cost and effort of gathering evidence to defend transactions. Making evidence easily accessible for staff compliance and auditors. Reducing the cost of demonstrating compliance. Avoiding fines related to non-compliance. Protecting the company's brand and reputation.